The Middle Country Public Library, in conjunction with the Library of Congress’ Veterans History Project, is collecting first-hand accounts of United States Veterans. The Project also includes first-hand recollections of U.S. citizens who professionally supported war efforts (such as war industry workers, USO workers, or medical volunteers). We are making these interviews available to the public so that their stories may be preserved for posterity. If you or someone you know is interested in being interviewed, please contact Jim Ward at 631-585-9393 ext. 273. Louis Thomas Albertini was born on April 26, 1925 in Hazleton, Pennsylvania. He was drafted in 1943 and served as a combat medic in the United States Army during World War II with the 35th Division, 134th Infantry Regiment attaining the rank of Corporal. Mr. Albertini served in Normandy, Northern France, the Rhineland, the Ardennes, and Central Europe. In recognition of his service, Mr. Albertini received the following medals: Bronze Star, Silver Star, Purple Heart, Good Conduct, Meritorious Service Unit Plaque, Second Bronze Star Oak Leaf, Eastern Service Medal with 5 bronze stars, Germany Occupation Medal, and World War II Victory Medal. Mr. Albertini served in the Army until September 1945. Anthony Almo was born in Chester, West Virginia on July 26, 1921. He was drafted and served during World War II in the United States Army with the 16th Cavalry from 1942-1945. Mr. Almo was a T4 Sergeant and served as a radio operator in France, Germany, and Belgium. In recognition of his service, Mr. Almo received the following medals: Good Conduct, American Campaign WWII, Victory WWII, and American Defense. John H. Beacorn was born on November 19, 1923 in Lynbrook, New York. He was drafted into the United States Army-Air Force in February 1943 and served as a Staff Sergeant with the 452nd Bomb Group, 731st Bomb Squadron during World War II. Mr. Beacorn was stationed in England during his time overseas. In recognition of his service, he received the following medals: Marksman-Carbine-Rifle, Good Conduct, Squadron. Mr. Beacorn served in the Army-Air Force until October 1945. Robert M. Brand was born on December 16, 1949 in East Meadow, New York. 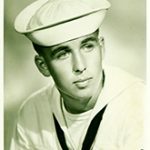 He enlisted in June 1968 and served in the United States Navy attaining the rank of Petty Officer 3rd Class. Mr. 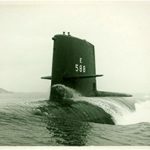 Brand served on two submarines during his tenure, the USS Scamp and the USS Clamagore. 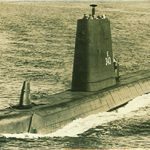 In recognition of his service, he received the following medals: National Defense Service Medal and Silver Dolphins after qualifying in submarines. Mr. Brand served in the Navy until July 1972. Stephen DeMarco was born on August 2, 1923 in Brooklyn, New York. He enlisted in the Army-Air Force in 1943 and served as a crew chief for P-51 Mustangs attaining the rank of Staff Sergeant. Attached to the 363rd Fighter Group, 9th Air Force, 381st Fighter Squadron during World War II, Mr. DeMarco was stationed in France, Belgium, and Germany. In recognition of his service, Mr. DeMarco received the following medals: Bronze Star Medal, European-African-Middle Eastern Service Medal, and the Good Conduct Medal. 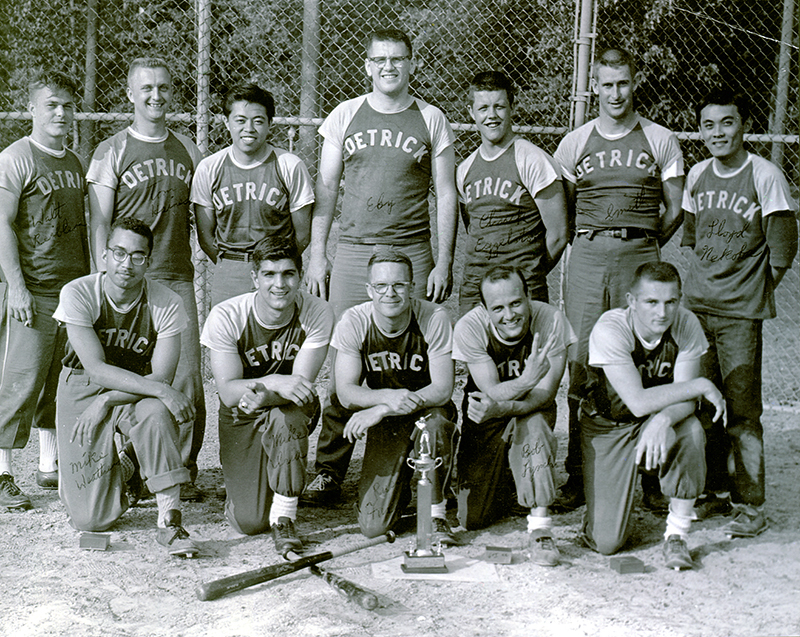 Mr. DeMarco served in the Army-Air Force until September 1945. Paul Farrugia was born on August 5, 1965 in Brooklyn, NY. He enlisted in 1983 and served as an Interior Communication Electrician in the United States Navy. Mr. Farrugia served aboard the USS America and participated in Operation El Dorado Canyon. After the Navy, he joined the New Jersey Army National Guard and Army Reserves. After more than 20 years of service, Mr. Farrugia retired from the military in 2004 as a member of the Army Reserves. Nathan Feinman was born on September 24, 1924 in Brooklyn, New York. Mr. Feinman was drafted into the 927th Signal Battalion, 9th Air Force of the Army-Air Force during World War II and served as a High Speed Radio Operator. He served in North Africa and the European Theater and was part of the invasion of Southern France. In recognition of his service, Mr. Feinman received the following medals: American Service, European-African-Middle Eastern Service, and Good Conduct medals. He served in the Army-Air Force until December 1945. 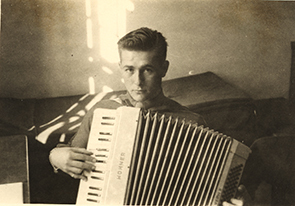 Stanley M. Feltman was born on April 5, 1926 in Brooklyn, New York. He enlisted in the United States Army-Air Corps during World War II. Mr. Feltman served as a tail gunner in Tinian in the Pacific Theater. In recognition of his service, he received the following medals: Good Conduct and Air Medal. Mr. Feltman served in the Army-Air Corps until June 1946. Morris David Geller was born on January 15, 1922 in Bronx, New York. He was drafted into the 16th Cavalry of the United States Army during World War II in December 1942 and served as a radio operator in an armored car. Attaining, the rank of T5 Corporal, Mr. Geller served in the European Theater in England, France, and Germany. In recognition of his service, Mr. Geller received the following medals: Purple Heart, the Bronze Star, Good Conduct, American Campaign, World War II American Defense, Victory World War II. He served in the Army until July 1946. Jay Henry Greener was born on January 18, 1946 in Brooklyn, New York. He enlisted in the United States Army in June 1968 and attained the rank of Specialist 4. Mr. Greener served as a Combat Engineer in the 70th Combat Engineer Battalion in Vietnam. He was also trained in providing care to wounded soldiers. Mr. Greener served in the Army until June 1970. Christopher M. Joseph was born on November 13, 1962 in Queens, New York. He enlisted in 1983 and served in the United States Army in many capacities including as a Mechanic and Communications Specialist in the 773rd Transportation Company, 436th Movement Control Brigade. He served in both Operation Desert Storm and Operation Iraqi Freedom and attained the rank of Staff Sergeant. Mr. Joseph served in the Army until he retired in 2006. Gerard R. Kern was born on October 11, 1932 in Roxbury, Massachusetts. He enlisted in the United States Marines in January 1952 and attained the rank of Sergeant. Mr. Kern served as an infantry machine gunner and company armorer in Japan and Korea. In recognition of his service, he received the following medals: United Nations, Korea, and Good Conduct Medal. Mr. Kern served in the Marines until June 1956. Walter Kwong was born on January 5, 1939 in Bronx, New York. He was drafted into the United States Army in March 1962 and attained the rank of Specialist 4. Mr. Kwong served as a Mathematics Statistics Assistant in Biological Warfare at Fort Detrick, Maryland. In recognition of his service, he received the following medals: Marksman-M1 Rifle, Marksman-Carbine, and Good Conduct Medal. Mr. Kwong served in the Army until March 1964 and his first civilian job was as a Computer Analyst on the Space Project to the Moon. Henry K. Lennox was born on January 1, 1925 in Jamaica, New York. He was drafted into the United States Army in February 1943 and eventually served in the Army-Air Force attaining the commission of 1st Lieutenant. Mr. Lennox flew unarmed photo reconnaissance aircraft on fifty missions in Burma during World War II. In recognition of his service, he received the following medals: Air Medal with Cluster, Asiatic/Pacific Medal with Battle Stars, and World War II Victory Medal. 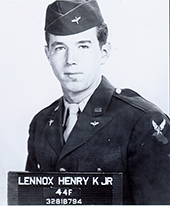 Mr. Lennox served in the Army-Air Force until November 1945. Michael John LoFaro was born on February 7, 1926 in Brooklyn, New York. 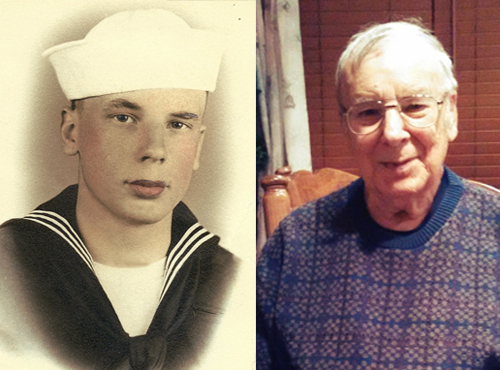 He enlisted and served as a Seaman 1st Class in the United States Navy in April 1944 during World War II. Mr. LoFaro was assigned as a Quartermaster to the USS Bennington and was stationed in the Pacific Theater seeing action at Iwo Jima and Okinawa. In recognition of his service, Mr. LoFaro received the following medals: American Theatre, Victory, Asiatic Pacific Theatre 2 stars, and the Philippine Liberation Ribbon. Mr. LoFaro served in the Navy until July 1946. Dennis Pennenga was born on August 28, 1942 in Bay Shore, NY. He enlisted in the United States Air Force in September 1960 and attained the rank of E2C. He served in Biloxi, Mississippi and Newburgh, New York and worked in ground to air communication in the Air Defense Command. Mr. Pennenga served in the Air Force until September 1964. Charles E. Pilger was born on July 5, 1927 in Idlewild, New York. He was drafted at the end of World War II in September 1945 and served as a Technical Sergeant in the 10th Constabulary Regiment in the United States Army. Mr. Pilger served in Stuttgart, Germany. He reenlisted in the regular Army after his initial draft term and worked at a medical clinic in Stuttgart. Mr. Pilger received the following medals: Army of Occupation Medal and World War II Victory Medal. Mr. Pilger served in the Army until June 5, 1947. Salvatore Francis Rizzo was born on December 18, 1935 in Brooklyn, New York. He enlisted in June 1954 and attained the rank of Specialist 3 in the United States Army. Mr. Rizzo worked with the United States Army Security Agency in Frankfurt, Germany as a Cryptanalytic Machine Operator. In recognition of his service, he received the following medals: Good Conduct Medal for Honorable Service, World War II Occupation Medal(Germany), National Defense Medal, and Cold War Certificate. Mr. Rizzo served in the Army until June 1957. Richard Karl Rosenblatt was born on July 9, 1920 in Jamaica, New York. He enlisted before the start of America’s involvement in World War II and attained the rank of Chief Quartermaster in the United States Navy. 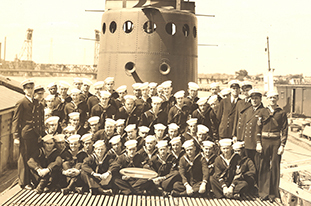 He served aboard the USS Salt Lake City, USS Sawfish, and the USS Plaice. Mr. Rosenblatt served at Wake Island, the Mariana Islands, and arrived at Pearl Harbor just hours after the Japanese attack to refuel. 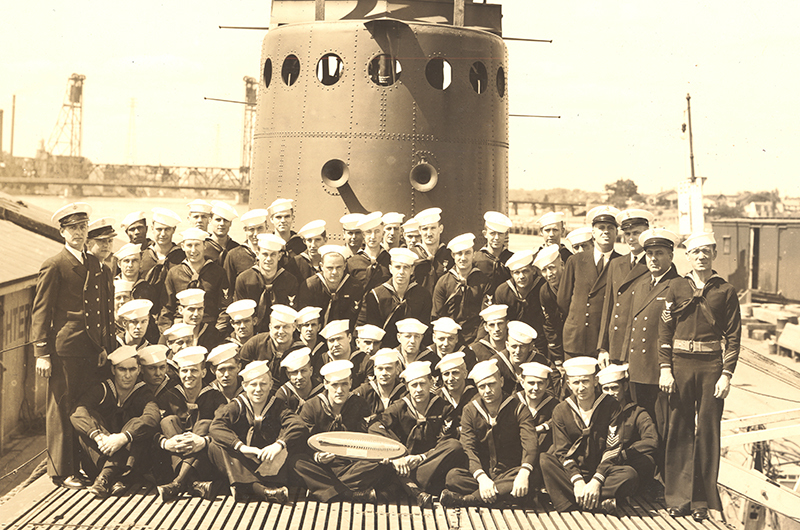 Once refueled, Mr. Rosenblatt and his men aboard the USS Salt Lake City steamed out to search for the enemy. Mr. Rosenblatt served in the Navy until 1945. Terrance C. Ryan was born on December 2, 1947. He enlisted in July 1966 and served in the United States Marines in Vietnam attaining the rank of Staff Sergeant. In recognition of his service, he received the following medals: National Defense Service Medal, Vietnam Service Medal, Vietnam Campaign Medal, and the Good Conduct Medal. Mr. Ryan served in the Marines until July 1968. David L. Wolman was born on November 5, 1921 in Brooklyn, New York. He was drafted into the United States Army-Air Force in 1942 and attained the rank of Corporal. 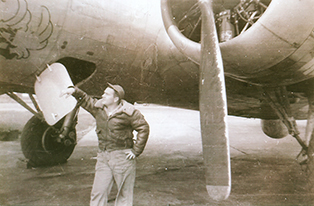 Mr. Wolman served as a Control Tower Operator in the 412th Air Service Group, 8th Air Service Force in the 100th Bomb Group in Thorpe Abbotts, England during World War II. In recognition of his service Mr. Wolman received the following medals: Good Conduct, World War II Victory Medal, Distinguished Unit Badge, ETO Medal, and American Service Medal. Mr. Wolman served in the Army-Air Force until December 1945. Sheldon Stanley Zweig was born on December 11, 1921 in Newark, New Jersey. He was drafted in September 1942 and served as a Staff Sergeant in the United States Army-Air Force with the 40th Bomb Group, 25th Power Bomb Squadron during World War II. Mr. Zweig served in China, Burma, and India. Mr. Zweig received an honorable discharge in December 1945. 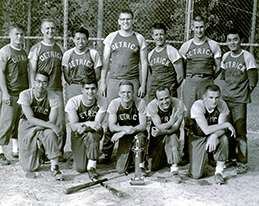 A collection of historical photographs from the archives of the Middle Country Public Library, featuring people and places in the towns of Centereach, Selden, and Lake Grove. | View the collection. Click here for the latest issue for the MCPL Quarterly, where you can read about all the programs and services that the library has to offer!